HomeGENERAL HEALTHHow Much Water Do I Need When Exercising? Reaching for your water bottle after a workout is an absolute must, but it's also important to drink up both before and during your workout. Not being hydrated can cause dizziness, headaches, fatigue, and cramps, as well as muscles that feel like lead. 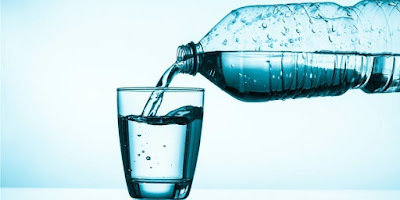 Heading into your workout well hydrated can make you feel stronger and more alert, and since your heart doesn't have to work as hard to pump oxygenated blood to your muscles, you're able to exercise longer. Here are some basic guidelines on how much water you need to perform your best and prevent dehydration. During: Sip six ounces of water every 15 minutes (eight ounces if exercising in extreme heat or you're sweating buckets). If you're working out for longer than an hour or in excessive heat, then sip Smartwater or a sports drink like Gatorade to replenish lost electrolytes. After: Weigh yourself before and after your workout. For every pound of water weight lost, replace it by drinking 16 to 20 ounces of water or sports drink. Another good way to monitor that you've gotten enough water is in the ladies room. If you have a large amount of light-colored urine, then you're hydrated. If it's dark, then you'll know you need to drink more before, during, and after your workout. You definitely don't want to overdo it with nature's beverage. Although rare, there is such a think as overhydration, a condition called hyponatremia where sodium levels in the blood become diluted and fall dangerously low. You'll know you're drinking too much water if you find you've gained weight when weighing yourself after a workout.